The Life of Malcom Couch, Ph.D., Th.D. 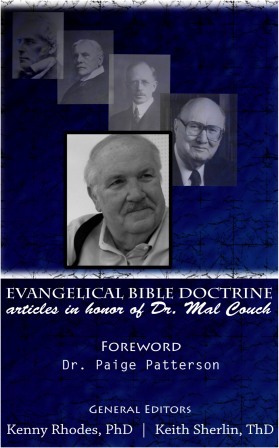 Dr. Malcom O. Couch was one of the finest theologians and disciple makers of our time. His accomplishments are many, and he had a life that glorified the Lord in many ways. I have known him for over 39 years as a good friend, a faithful follower of his Lord and Savior Christ Jesus, a Dallas Seminary student, a news photographer, a producer/director of Christian films, a Radio Talk Show host, a business plane pilot, a loving and devoted husband, a founder and leader of two conservative theological seminaries, an author of numerous books on Biblical subjects, a beloved pastor of churches, a mentor to a host of men who studied under him and went on to effective ministries, and an indefatigable friend of Israel. Dr. Couch believed the Bible to be inerrant and the true Word of God, he believed in the full deity of Christ, His substitutionary atonement, His glorious resurrection from the dead, His imminent return in the Rapture of the Church and His return to the earth to reign as King of Kings from Israel with Jerusalem as His capital. Though many have turned away from these truths these days, he remained faithful to them, and he often told me he was going down fighting. When I first met Mal, he and I were both students and Dallas Seminary during the 60s, and we had some classes together. I remember the day some FBI men came to our class and took him out to talk with him. We didn’t know what was going on, but later found out that he was a key witness in the assassination of President John Kennedy only a few days before. His testimony covers ten pages in the official publication of the Warren Report. Suffice it to say that he was working as a photographer for Channel 8 in Dallas and was in the Presidential motorcade, about 4 or 5 cars behind the President and the Governor. He saw a rifle barrel being drawn back inside the window on the sixth floor of the Texas School Book Depository. He never forgot that day and what he saw. The next time he came into my life was in 1973, some 10 years later. My friend Zola Levitt and I had just published a book with Moody Press on the prophetic rebuilding of the Temple in Jerusalem and the word was getting around about it. Mal called me and said he had read our book and greatly appreciated it. In fact, he wanted to make a film of it. At the time Mal was the president of Evangelical Films, and I was pleasantly surprised that he wanted to make a film based on our book. He told Zola and me to get packed and be ready to go to Israel with him and his cameraman in the next few weeks. He raised the funds for the film and away the four of us went to make a film called THE TEMPLE, which was shown in thousands of churches throughout the U.S. and Canada. It was one of the highlights of my life and ministry, and we often spoke of our experiences there. Mal was a licensed pilot, along with his many other capabilities. For some time he enjoyed flying Zola Levitt around the region for church speaking engagements. He used to enjoy telling the story of a time they flew to the piney woods of East Texas. When they finished the engagement, they taxied down the short runway in the small private airplane. Near the end of the runway Mal realized that the emergency brake was on. He had no choice but to try to takeoff and to attempt to skim over the tall pine trees. He was able to get the plane high enough so that it was just able to clear the tree tops. It was a close call and he often talked about their harrowing escape from crashing into the forest. The next time I was personally involved with Dr. Couch when he was a Talk Show host on a Christian Radio Station in the mid-cities in the Dallas-Ft.Worth Metroplex. He had a widespread listening audience, and he interviewed many ministers and other Christian leaders about their ministries. This provided considerable encouragement for churches and believers around the area. 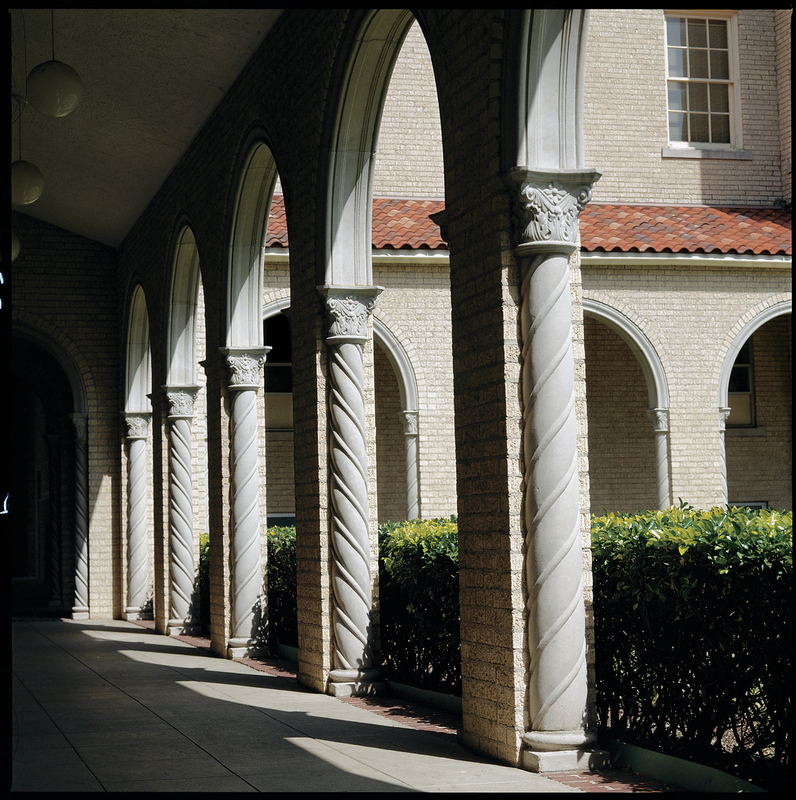 In the 90s there were two developments in which Mal played a major role: the Pre-Trib Research Group in Dallas and the founding of Tyndale Seminary in Ft. Worth. The Pre-Trib Research Group, led by Dr. Tim LaHaye and Dr. Thomas Ice, continues to be a response to Evangelical Christian Institutions turning away from Bible prophecy in general and the Pre-Tribulation Rapture in particular. It includes scholars from across the country who have written extensively about these subjects. Tyndale Seminary also focused on sound hermeneutics in Bible interpretation and the importance of knowing Hebrew and Greek in order to properly interpret and teach the Word of God. 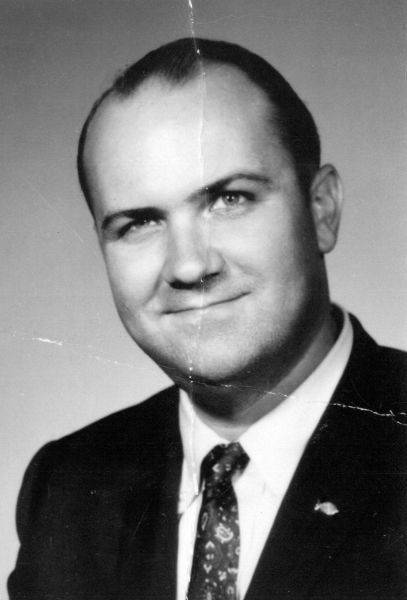 Dr. Couch worked tirelessly to attract and train a new generation of ministers of the Gospel. 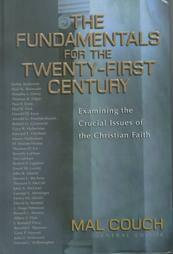 Out of this Dr. Couch served as the Senior Editor of the publication with many contributors entitled FUNDAMENTALS FOR THE 21ST CENTURY. In later years, Mal retired from the presidency of Tyndale Seminary, and he and his beloved wife Lacy, a Doctor in the field of Psychology, moved from Ft. Worth to the Central Texas town of Clifton. There he established the Clifton Bible Church and the Scofield Ministries. Many CDs and books have been distributed through these ministries to pastors, teachers and other Christians during the last decade. He produced CD recordings himself, and with a number of his former Doctoral Students and colleagues, including Dr. Andy Woods, Dr. Robert Lightner, Dr. Daniel Woodhead, Rev. Jeff Gutterman, and myself. Dr. Couch’s battle with cancer spanned over a number of years. Eventually he moved from his home to a medical facility and continued to produce CDs and other literature as long as he could. The Lord greatly led and blessed this talented man throughout his eventful and effective life. Mal looked forward with great anticipation his ultimate home going to be with the Lord whom he served so faithfully. Summary of Dr. Couch’s Education and a partial list of some of his publications. Edited and Posted by Dr. Daniel Woodhead.